I’ve spent most of this week banging on about Hathersage Swimming Pool to anyone that will listen. The lido is a short drive from my childhood home and right down the street from my great grandma’s old place, so it was a fairly obvious choice of a place to hang out as a kid. There’s nothing like swimming outside looking out over the Derbyshire hills, even when it is cold and rainy. I haven’t been to the pool for years, although lots of my hometown friends seemed to be putting pictures of the pool up after the glorious weekend we just had. Bastards. 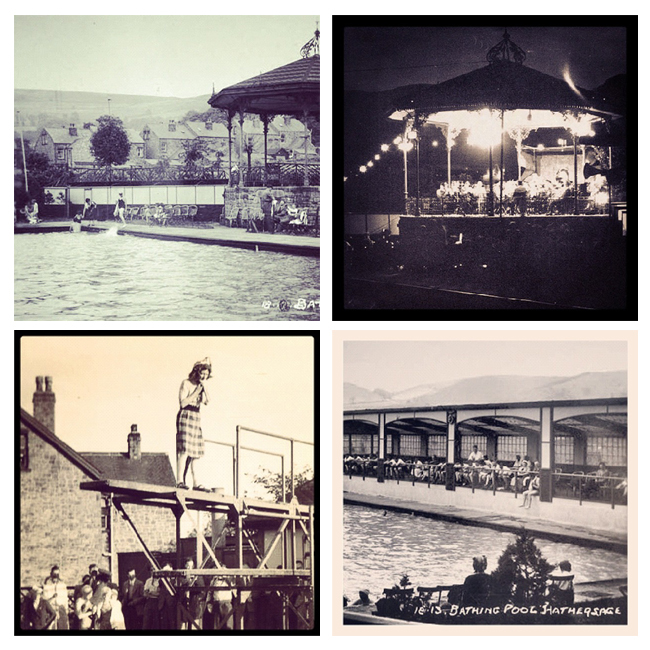 I’m not much of a swimmer these days – although I have mastered the art of swimming with a margarita, using one arm to propel myself along, thanks to various experiences in Las Vegas pools – but I still fancy a trip back to Hathersage for a dip next time I’m back up north. Imagine if they still had a band on the stand! How civilised that would be. Sadly the cafe isn’t licensed – and probably wouldn’t serve margaritas in novelty glasses anyway – but I can look past that, given the amazing real ale pubs in the vicinity. SIGH. 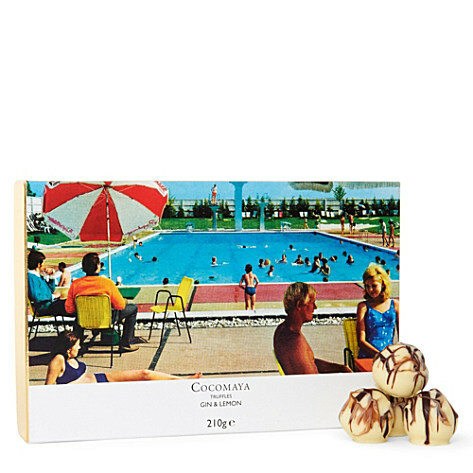 All of this is a rather long-winded way of saying that this week I discovered Cocomaya Gin and Lemon Truffles – not only a slice of delicious heaven, but a happy reminder on the packaging of those pretend summers that we all remember from our youth when it was boiling hot all the time. The pretty postcard print is the work of renowned photographer John Hinde, who was a dab hand at making seaside resorts look spectacularly picturesque. And packaging aside, it’s gin and lemon chocolate – what a winning formula. They’re currently on offer, exclusively at Selfridges.